At Cliffside Windows, there are few places we love more than Spalding. This quaint market town is just under an hour away from our headquarters in Dunston and so it’s not uncommon for us to make the trip out there to install some high-quality home improvements. 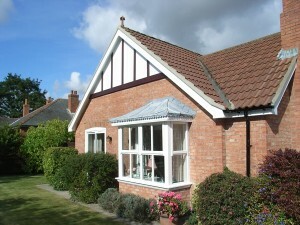 The architecture and styles of housing can vary from town to town and Spalding is no different in this regard. Spalding is a town with a rich history, in fact, the location was first recorded as a town in 1086 within the Domesday Book, which acted as a vast survey that was carried out by the then King, William the Conqueror. It’s only natural that a town that has been around for so long will have accumulated a number of buildings that are quite different to one another, as they were constructed at wildly different times with different advancements being made in architecture as an industry. 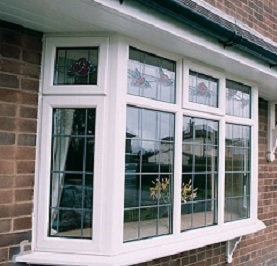 If you’re a homeowner within Spalding, you might not be sure what uPVC windows will be the most compatible with your home but worry not as Cliffside Windows are here to help. If you live in what could only be described as a cottage, the chances are that it’s somewhat archaic in nature. Whilst any window could be made to work with the typically stone design of a cottage, there are certainly some that will look better than others. Before we even begin to talk about the type of uPVC window, you should definitely aim to have a woodgrain effect when it comes to aesthetics. A woodgrain effect such as Golden Oak can make your windows look traditional and more in-line with the style of your cottage. If you can’t decide on the type of windows you think will work best with your cottage, we think that you can’t go wrong with the classic sash windows. If you get these and put a woodgrain finish on them, your cottage will still have its charm but with the practical benefits of modern windows. If you have a conventional brick house within Spalding, you can probably get away with any kind of windows from Cliffside and your house will look better for it. Bay and bow windows in particular are sure to give your home a sleek, stylish and modern appearance as well as ensure that you can feel as secure as possible within your home. As with any of our windows, you’ll experience superb thermal efficiency. Whether you choose to go with either bay or bow windows, you’ll certainly be making the most out of the space a house can offer you when it comes to windows. Whatever kind of property you call home in the cosy town of Spalding, don’t hesitate to call Cliffside Windows to replace your existing windows with something more modern. 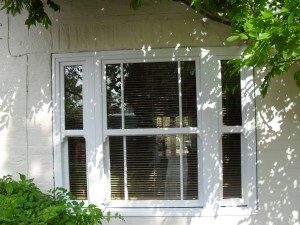 Beyond our uPVC range of casement, sash, tilt & turn, bay and bow windows, we also have a range of aluminium windows. Those who have an exceptionally modern property will definitely benefit from having the highly secure aluminium windows installed. Maybe you don’t want your windows replaced but you’ve also noticed your home is slightly colder than you’d like? If that’s the case, then we offer a number of double-glazing upgrade options, including secondary glazing for period properties, which allows those in older homes and in conservation areas to experience the many benefits of double glazing without requiring planning permission. If you’d like to find out more about Cliffside Windows and what they can offer your Spalding home, you can browse our website or get in touch.